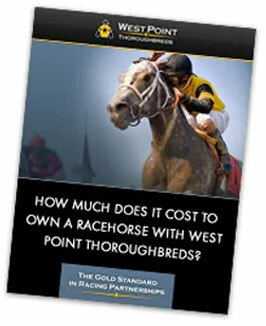 Participate in West Point Thoroughbreds’ 2018 Saratoga Challenge and win an ownership experience in Pointer View, a 2-year-old Paynter colt trained by Tony Dutrow. Click the button above to complete your entry in the contest. You will select one jockey/trainer/horse from 15 groups of 2-4 names. 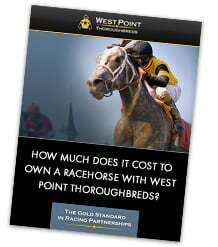 Visit West Point Thoroughbreds stable roster if you need some help selecting your WPT horses. When does the contest open and close? Entries must be submitted by 11 am ET on Friday, July 20, 2018. That’s opening day of the Saratoga meet. Contestant with the most points at the conclusion of racing on Monday, September 3 wins an ownership experience in Pointer View. Standings will posted to this page weekly throughout the meet. Tell me more about the prize! 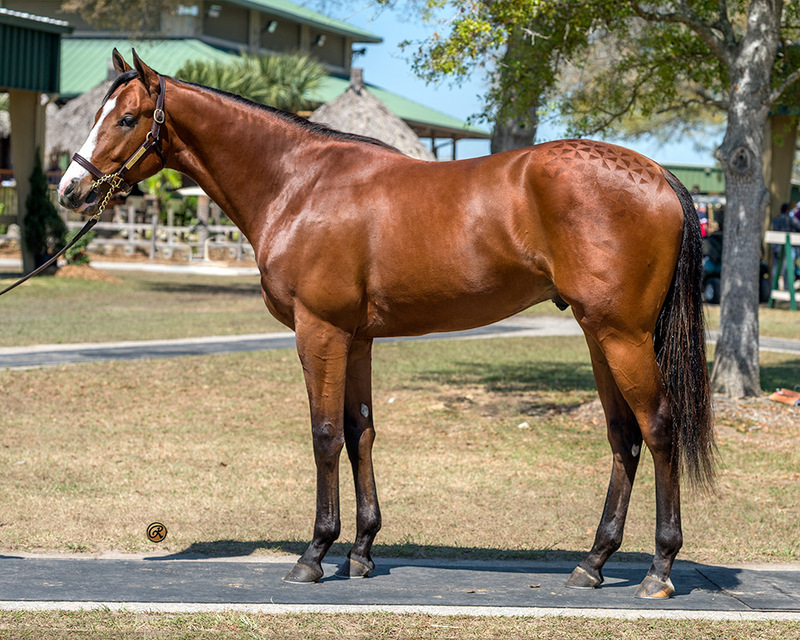 Pointer View is a 2-year-old New York-bred colt trained by Tony Dutrow He was purchased by West Point Thoroughbreds at the 2018 OBS March 2-Year-Olds in Training Sale and is expected to debut in late summer/early fall. 2017 Saratoga Challenge winner won an ownership experience in Empire Line, who is now a stakes winner. The winner will not receive any bills associated with Pointer View. Experience includes access to horse communications, paddock, backstretch and (hopefully) winner’s circle, invitations to partner events, plus one percent of net purse distributions by West Point Thoroughbreds during Pointer View’s racing career.